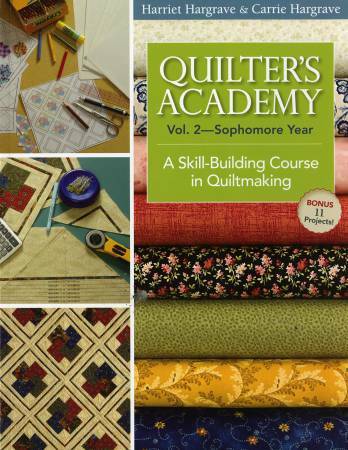 A skill building course in quilt making. Get a college-leveleducation in quiltmaking from the comfort of your ownhome. Drafting exercises help you learn to make any quilt,any size, with or without a patttern. Loads of tips, tech-iques, and helpful charts. Bounus section with 11 projects.